The same name as another game but totally different gameplay. 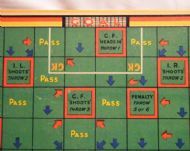 This is a very simple dice and counter game on a grid pitch with some interesting movement rules. Produced by Harlesden around 1950. 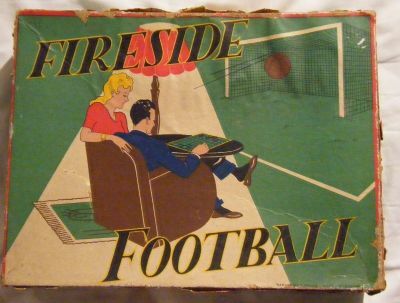 Gentleman relaxing by the fire (of course) with his wife and lovely football game! 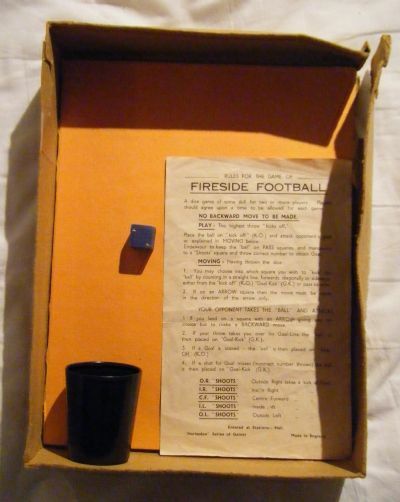 Complete game in creased box. 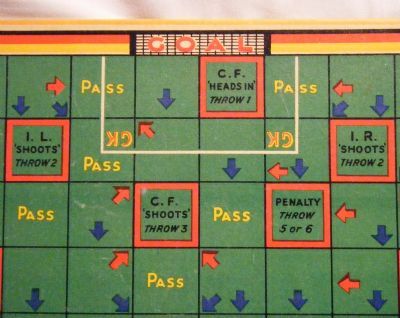 Every square has an action, the distance is determined by the dice roll. 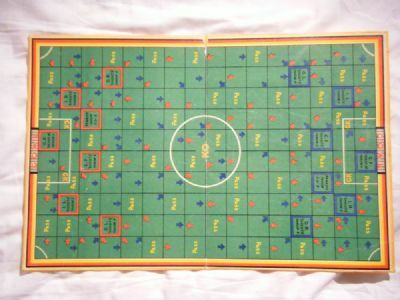 Spare Pitch board only for sale.